inspired by the "most essential Bruce" list of 10 tunes, here's mine for the Grateful Dead. And the cheap toilet partitions every family needs. My spouse and I put this romantic story together for a family wedding in the mid-1980s. My CD-Length summertime mix with a built-in narrative to keep it interesting, now updated and greatly improved by Cat comments and suggestions. What are your favorite summertime songs? 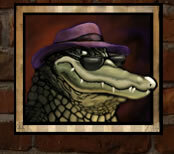 Gator's working list of candidates to be added to the Timeline when next updated. See corresponding blog discussion. Sam & Dave released three superb singles. What rock or soul artists recorded three tracks, taken together, that you think are as good or better than Sam & Dave's best three? My top 20, in rough order . . .
Now that we've posted our favorite Dylan covers, it occurred to me that it would be fun to come up with the Dylan covers we WISH we could hear or wish had been done! Any song by any artist, living, dead, retired or otherwise! Dylan songs have been recorded in near definitive versions by other artists. Some of those "other artist" versions don't seem like covers. That emphasizes Dylan's fundamental role as a songwriter. These are my favorites. Welcome yours. Was 1961-62 a lull in the history of rock, soul and pop? An intermission between the great late 50's and the Beatles era? Maybe so, here are some of my favorites from those years. Others? My favorite Los Lobos songs that fit on one CD. What are your favorites? A List of Favorite Beatles Lyrics. Favorite doo wop songs, alternating slow and fast with a few mid-tempos mixed in, sequenced as a countdown from #31 to #1. Since there's a bunch of us over 50 years old, I thought I'd post this link to an AARP (Assoc. of Retired Persons) article that came out today called "16 Songs Everyone Over 50 Must Own." The anti-war song list brought this topic to mind. I can think of a few, but I have a feeling that Woodstock birthed more than these. Did any one you attend? Here's a short list of songs that just plain turn me on. Did then...still do. Rock groups and folk musicians played a huge role in the anti-Vietnam war movement and beyond. What are some of the tunes you think of in that context? Chronology of the 116 Timeline songs from the Motown family of labels. 45 of them were hits between fall 1963 and spring 1967, when I was in college. Same idea as the 60's sing along list-- these are 12 songs you can NEVER RESIST singing along with. It is physically impossible (as shown by years of testing at MIT and the jukebox at Mel's Drive In)! Use carefully. A playlist of 60's rock and pop songs I love to sing along with in the car. The tracks have one thing in common--a refrain of some kind that you can sing along with whether or not you know the rest of the lyrics! A short list of songs that really give me the feeling that I'm at a party...there's a certain energy and excitement that says "Come On In"...know what I mean? Got any to add? The guitar is "king" in rock and great rock solos provide some of the really memorable moments in rock history. Here are a few of my favorites. More to come. Help me build the list. These are songs spanning my junior high and high school years...played at parties and dances...1957-1963...some of the most romantic songs in the rock & soul cataogue...anyone have something to add? I think JW should be included in any discussion of all time great rockers. All "take no prisoners" attitude, from the first note to the last. Music created for a 10 year work anniversary party. The list was limited by songs I have in iTunes. Criteria for selection involved several factors. Some themes should be apparent. I tend to associate songs with places. And I liked best camping tents very much. Here's a list of tunes that capture the essence of Los Angeles for me. A dozen from the Fifties that do the very best job of conjuring up the feeling of my childhood. I like some better than others now, but all of these just take me right back in a way that only music can do. These are songs from my teens that I associate with unfulfilled crushes. CD-length chronology of 30 classic New Orleans songs, up to and including the HBO TV series "Treme"
Favorite Songs of White Plains (New York) High School Class of 1963 as voted in 2003 poll for 40th Reunion. To be eligible, songs must have reached their chart peak from summer 1960 through summer 1963.